The majority of smartphone users are plagued with restrictive data plans, and it can quickly become an uphill battle trying to preserve those precious megabytes of data. Of course there are some folks who have unlimited data plans, but the majority of those with a data plan are limited in one way or another. Fortunately, there’s a few really simple changes you can make on your device to save a tremendous amount of data over a long period of time. Tip # 1 – If there’s WiFi Available… Use it! Most people are already aware that using their phone’s WiFi functionality will allow them to use a local network’s bandwidth – meaning any Internet usage during that time won’t affect your phone bill. It can be difficult to remember to switch your WiFi on, unless you leave it on 24/7; which would ensure you’d never forget, but also drain your battery. On the plus-side, WiFi uses less battery than a 4G connection, so whenever you were actually connected you’d be saving battery life. Not only are advertisements annoying and a hassle to deal with, but they’re also using your data. 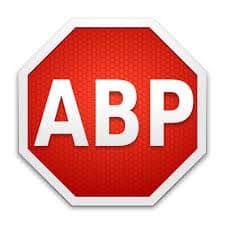 My personal favorite solution to this problem, is Adblock Plus for Android, which you won’t find on the App Store (follow the link for instructions on how to download). This won’t save a massive amount of data, but it is definitely worth the five minutes it takes to install the app, plus you won’t have to deal with any ads. There’s also an AdBlock for iOS available, which is offered in both a free and a “Pro” version. A lot of applications are periodically running synchronization scans in the background, which allows them to alert you when you receive a new message or other notification. Although this is useful, it uses up a lot of data – so if you’re running out of data way too early in the month, you may want to consider extending the time between scans. This is a pretty easy thing to do, and it doesn’t mean you’ll never receive the update, it just means you won’t know until a few minutes have passed after it was sent. Android users can find the setting under Settings –> Wireless/Networks –> Data Usage. iOS has a similar menu in Settings –> Notifications. 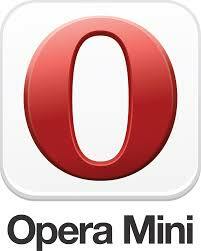 For those who are already partial to a specific browser, this may be a out of the question, but making the switch to Opera Mini for a mobile browser can drastically reduce your data usage. This browser uses compression to save up to 90% data usage, compared to other popular mobile browsers. It offers pretty standard browser features, and is definitely something to consider if you’re trying to cut back on your data consumption. You’re able to set alerts on your device for when a certain amount of data has been used. Despite the fact this doesn’t really save any data, it’s still useful as a reminder to connect to WiFi more often and reduce app syncing frequency. My Data Manager for Android is a fantastic third party application that will help you manage all aspects of your data usage and keep you in the know of how much data remains – without being too intrusive. iOS users can find their current data usage under Settings –> Cellular –> Cellular Data Usage, which is great if you can remember to check it every few days to see where you’re at. Fortunately, My Data Manager for iOS is also available, offering similar features as the Android version. Following these steps is a great way to cut back on data usage, but for more desperate users, you may want to consider locking your battery in a safe and giving the key to someone you can trust to return it at the end of your billing cycle.